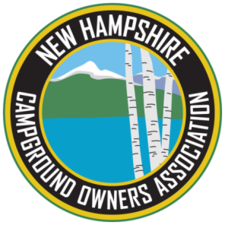 Scenic View Campground is located at the base of the White Mountains. The area offers excellent hiking, fishing, biking, and canoeing & kayaking opportunities. After a day exploring the areas attractions, you may enjoy a refreshing dip in our crystal clear heated swimming pool, frolicking through our 625 ft. splash pad, or simply relaxing by the pool. We also offer activities on the weekends in season. Welcome back campers! Stay with us this weekend and receive 20% off the nightly camping rate (2 night minimum, advanced reservations required). The pool is officially open and heated for the season! We will have the bluegrass band Parker Hill Road, light-up wagon ride (don’t forget your glow sticks), cookies-n-canvas ($) and an ice cream social to celebrate ($). Camp with us this weekend and fish for FREE on Saturday. Happy Fishing! We will be offering kids crafts to make something special for dad. Dads, stop in the store Sunday morning for a FREE coffee or hot chocolate. Celebrate the beginning of summer vacation with a game of candy bar BINGO (bring 1 full size candy bar per card). Join us on Saturday morning for a variety of crafts for kids to choose from. Join us for our 18th annual bike parade. Bring some decorations, and decorate your bicycles, strollers, pets, etc. for a parade around the campground. (All participants will receive a treat.) We will also have a pool party, ice cream social ($), and water works wagon ride (basically a giant campground vs. wagon water fight). Entertainment by Jason Tardy - High Energy Performer. Join us this weekend and create your very own tie-dye project ($). Bring your own shirt, pillowcase, towel, sundress etc., or we will have Scenic View T-shirts available for purchase. We will also have a pool party on Saturday night. Join us this weekend as we celebrate Christmas! 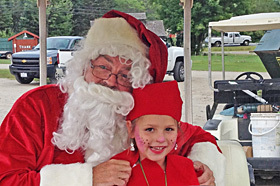 We will have a site decorating contest (don’t forget your outside decorations/lights), kids’ crafts, light-up wagon ride and a visit with Santa. Scenic View Campground presents the Mt. Moosilaukee Mining Company! Give the kids something to remember this summer. They can pan for over 48 gems and 35 different fossils in our sluice. Keep what you find! 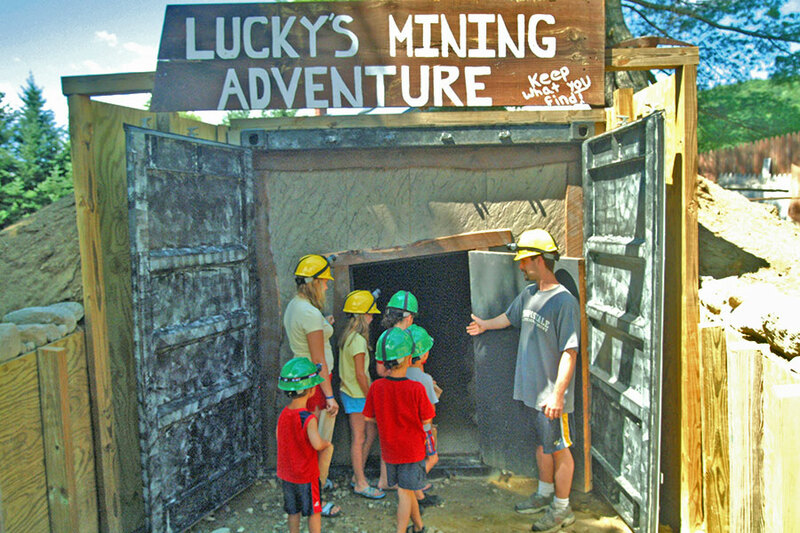 Venture into Lucky’s Mine, where more treasure awaits. Put on your hard hat and head lamp (provided), and head on in. Keep your eyes open for gems and fossils hidden inside. 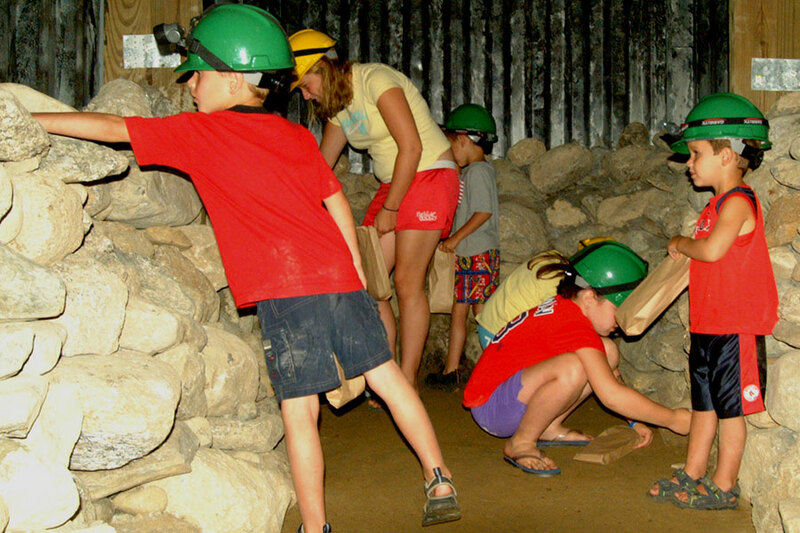 Our mining store is filled with unique rocks, dinosaur souvenirs, and much more. We also host terrific parties! 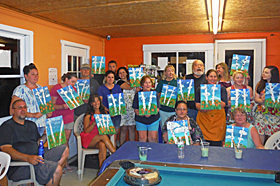 We can accommodate groups of eight or more and offer different packages and prices for your very own special occasion. A covered picnic area is available. Advanced reservations are required. (Groups available Sunday through Thursday only.) Just give us a call, and we will be happy to provide you with special packages and pricing options. Hard hats and head lamps provided for Mining Adventure! Join us for a pool party and water works wagon ride (basically a giant campground vs. wagon water fight)! We will have a flashlight candy hunt on Saturday night (don’t forget your flashlight and a bag), and glitter tattoos/face painting ($). Join Donna Marie and her Friends under the canopy on Saturday evening for family-friendly comedic entertainment. Or create your own tie-dye masterpiece ($). 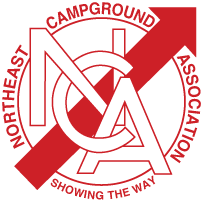 Bring a shirt, pillowcase, sundress, towel, etc., or we will have Scenic View Campground t-shirts available for sale. We will have a variety of kids’ crafts to choose from. Join us for the last unofficial weekend of summer. We will have Jim Hollis acoustic artist/DJ, candy bar BINGO (bring 1 full size candy bar per card), light-up wagon ride and glitter tattoos/face painting ($). Join in on all the fun the Highland Games have to offer. 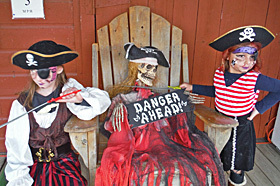 Join us for the last camping weekend of the season as we celebrate all things Halloween! We will have pumpkin painting (don’t forget to bring a pumpkin or pre-buy one with your reservation for a nominal fee), trick or treating, a site decorating contest, wagon rides, and a haunted house. Thank you for another great season. See you in 2020! Please note that this is not a complete list. Activities may be added or omitted due to weather. 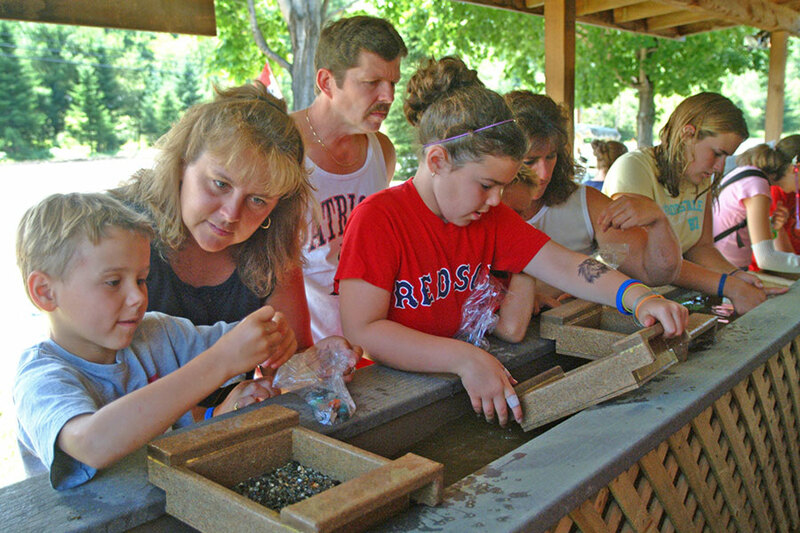 Most activities are held on Saturdays, excluding holiday weekends. Please see the giant “white board” located outside the rec hall for times and locations.